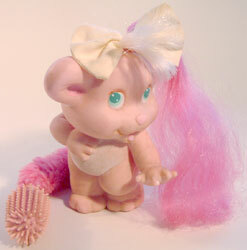 Images on this page thanks to Renee, Christina and various eBay sellers! 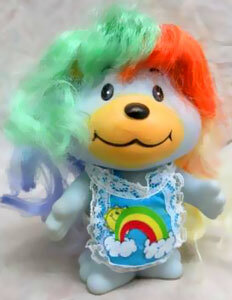 There were fifteen poseable Care Bears produced. 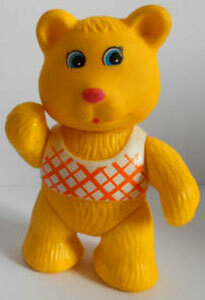 The first series had ten characters, followed by five more in series two. 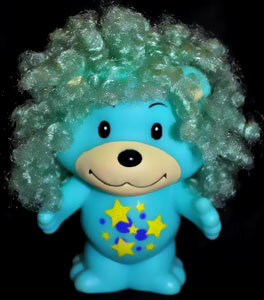 Care Bear Cousins were released with series two of the Care Bears and consisted of six characters, with three more rare UK exclusives added later. 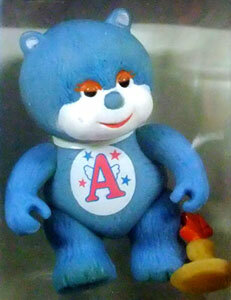 Care Bears friend Cloud Keeper and villain Professor Coldheart were also made into poseable toys. 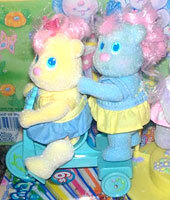 Each Care Bear came with one accessory which they could hold, although they were also sold with no accessories. 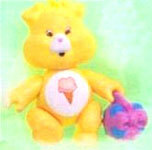 Of the eleven Care Bear Cousins characters ten were produced as poseable figures. 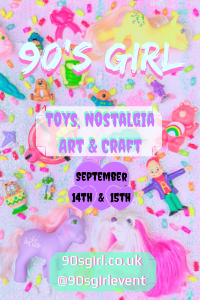 Loyal Heart Dog, Playful Heart Monkey, Proud Heart Cat and Treat Heart Pig are very rare finds being UK exclusives, while Noble Heart Horse was only produced as a plush toy (also a UK exclusive). 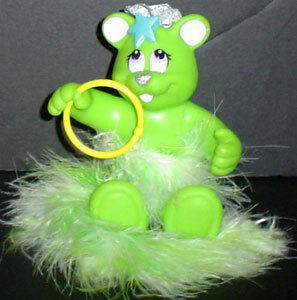 Each character came with one accessory which they could hold, although they were also sold with no accessories. 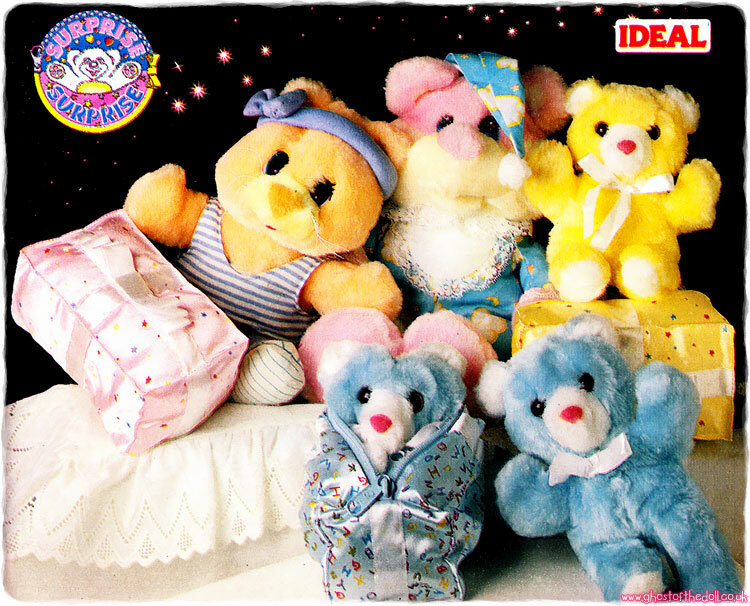 These are the four rare UK exclusive poseable Care Bear Cousins. They also each came with one accessory which they could hold. The Cloud Keeper was the friend and Professor Coldheart was the villain! They came with one accessory each, which they could hold.